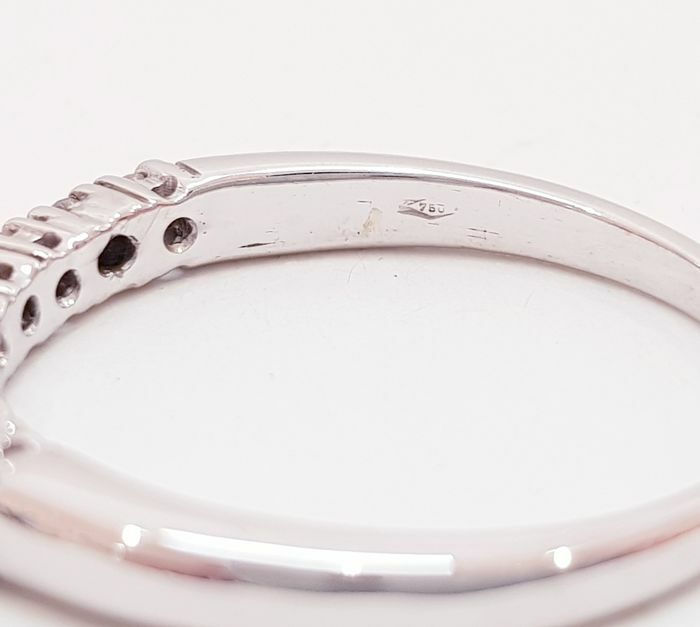 18 kt white gold ring, weight: 3.93 g.
Completely hand-crafted in Arezzo, Italy. 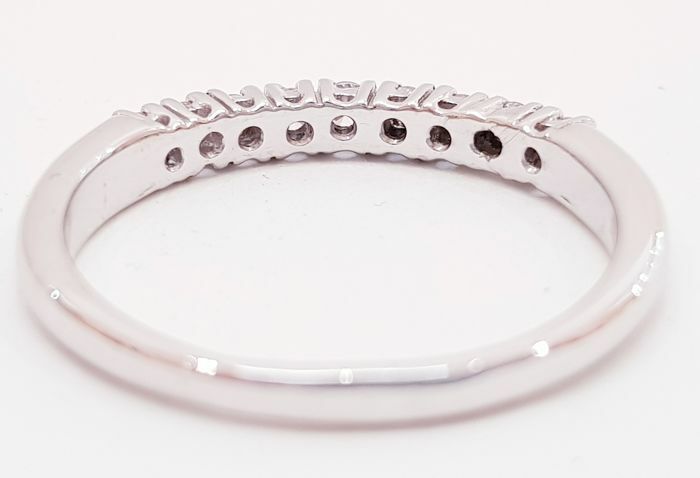 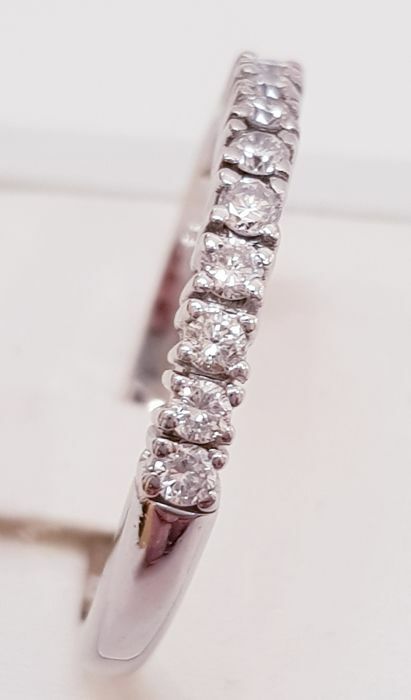 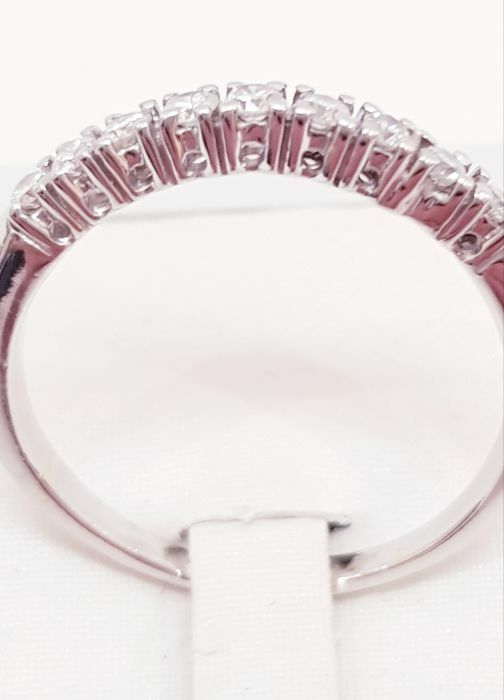 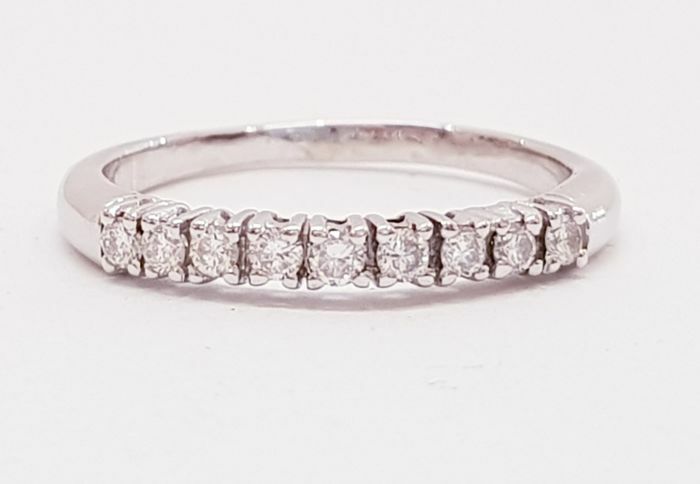 Set with 9 brilliant cut diamonds, colour G/VS, for a total of 0.36 ct.
Classic eternity ring, very elegant simplicity. 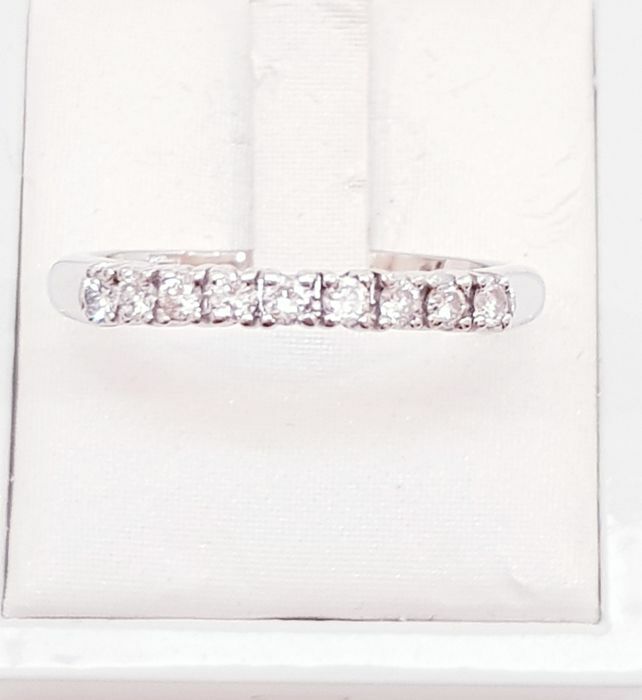 Delivered in an elegant jewellery box with certificate of authenticity.